You can eat, drink and talk as you normally do! 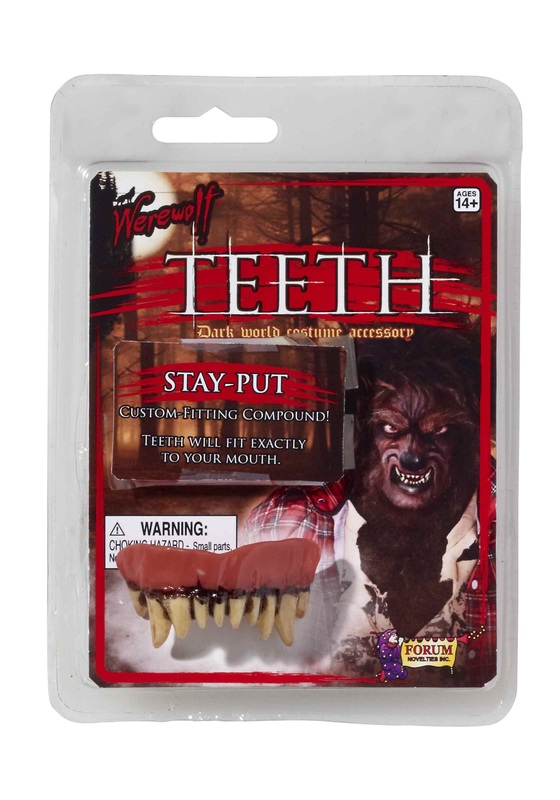 We haven’t really seen too many werewolves running around without teeth. We met a single one once. At first we were terrified of its hulking, hairy form towering above us in the moonlight. We shivered in fear for our lives as he stared down on us. Then his ferocious lips curled back into a snarl that should have shaken us to our core. The only problem was that he forgot his dentures back at the house on his night stand. His pink gums actually made us laugh a little too much, and the poor guy ran off in embarrassment. Maybe it’s time the greatest predators of the world take back the night with a few great scares. 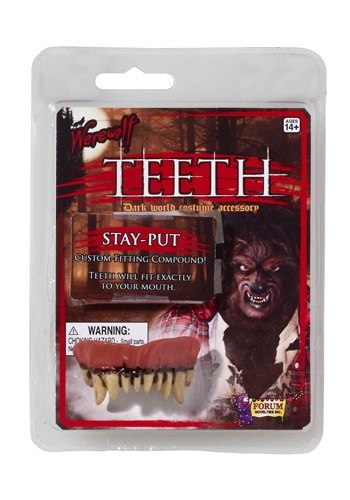 Whether you’re an older werewolf who hit the candy store a few too many times and lost all their teeth, or a new werewolf who hasn’t quite grown their chompers in, these werewolf teeth are sure to bring more terror than any of those silly vampires can shake a wooden stake at(ooh did someone say steak?) It comes with an easy to use custom fitting compound that will fit your exact face!